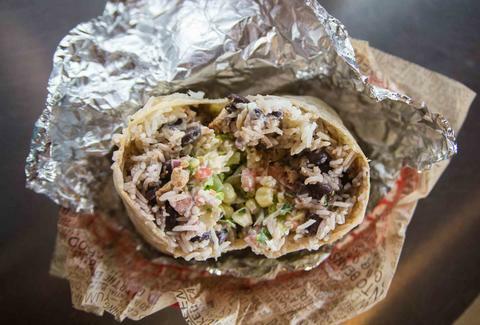 Chipotle is trying to revive flagging sales and bad press with Chiptopia, its first loyalty program, which rewards its loyal customers with perks like free burritos. What'd you think it'd reward them with, Chipotle stock? If that were the case, Chipotle would have to take money out of people's bank accounts, because it's been sinking like a stone. But the only thing about Chiptopia that really matters is how it's being embraced by the brand's hordes of loyal fans. So we went looking on Twitter to see what people thought about this new rewards program, and this is what they had to say. @ChipotleTweets #Chiptopia is a garbage rewards system favoring singles. In order for my family to get $20 catering, we will spend $400+ mo. It's basically "buy burritos, get free burritos"
Lee Breslouer is a senior writer for Thrillist, and eats 11 burritos a day. Follow him to exaggerated tweets: @LeeBreslouer.